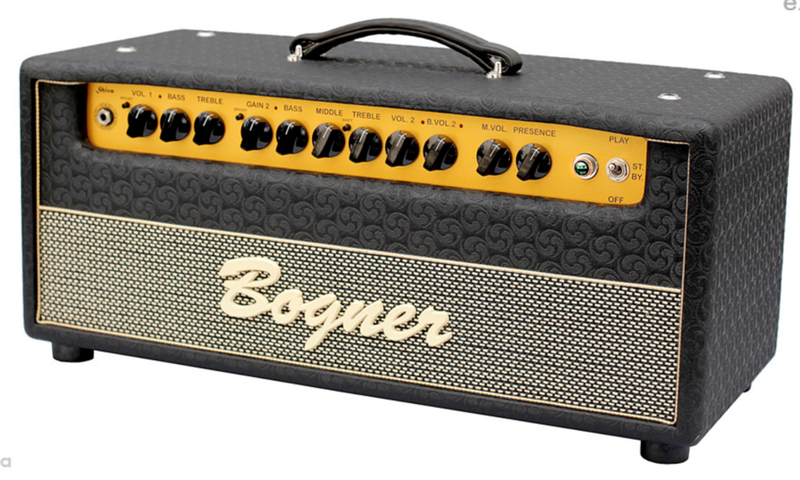 Ultra Sound is a Stocking Dealer of Bogner Amplifiers in the US and we always have almost every model in stock and ready for immediate delivery. A lot of dealers don't have very many models in stock and if they don't have it you will have to wait to get the amp - often for a long time. Call us - We have the expertise, great service and most important the model you want. Ecstasy series heads were designed to breath like sweet old amps...all living in one box. The Goldfinger is based around the rich harmonic textures of the iconic 6V6 tube. Known for having a nice warmth and a creamy breakup at fairly low volumes, the 6V6 sings like an EL34 but has more chime for cleaner bell like tones. Featuring two highly evolved channels, capable of clean tones that shimmer like icicles in the deep of winter moonlight and tube saturation that is so rich and powerful it should be illegal in the free world. Uberschall is the German word for Super Sonic and we designed this amp primarily for extreme, heavy and aggressive styles of music. Detuned or baritone guitars crave this amp.